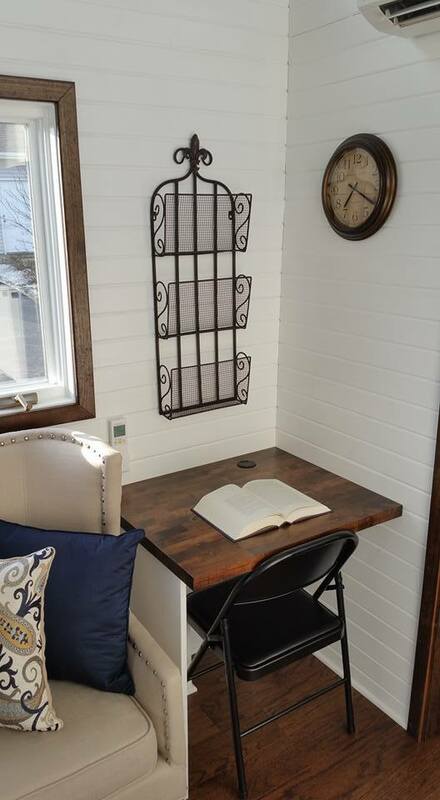 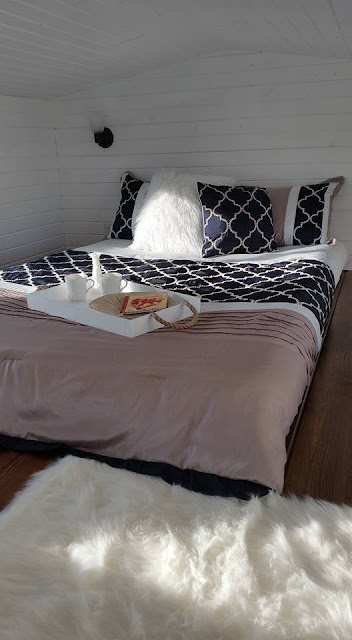 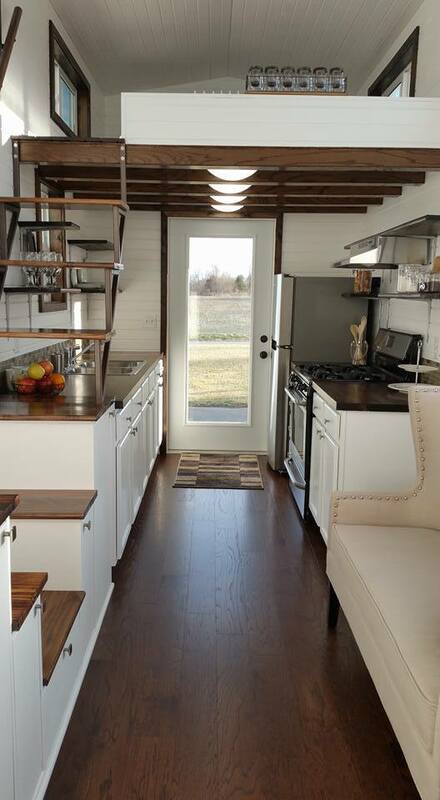 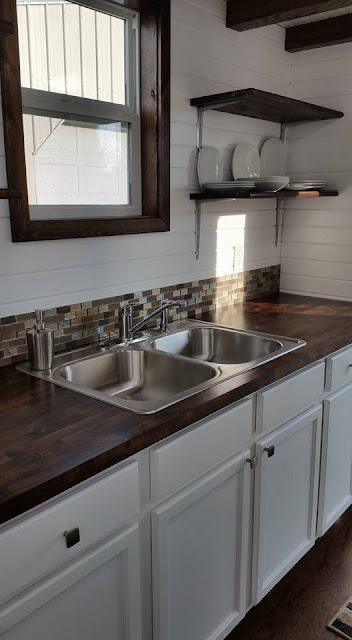 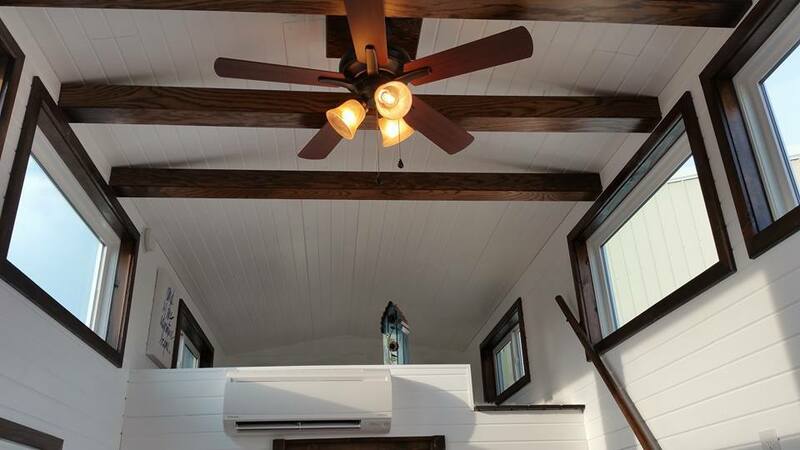 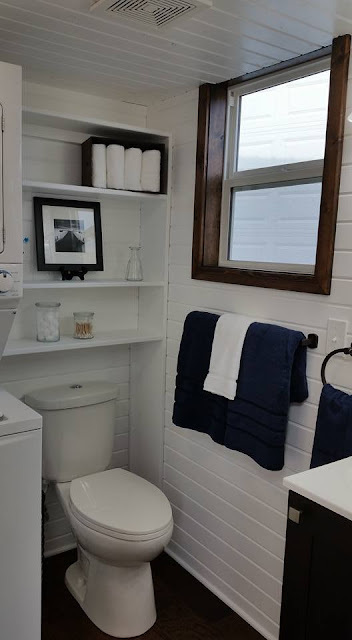 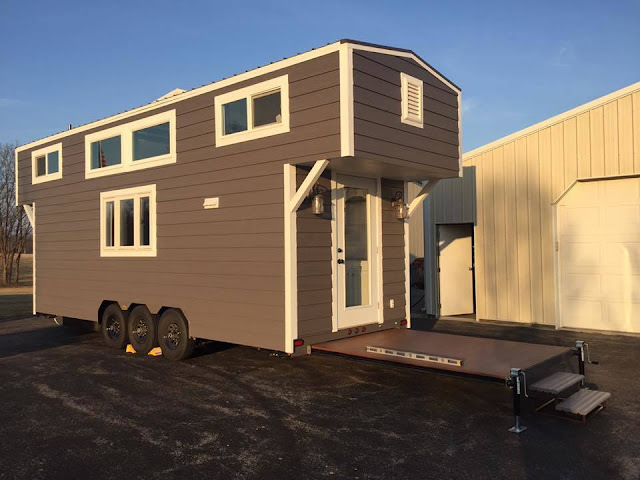 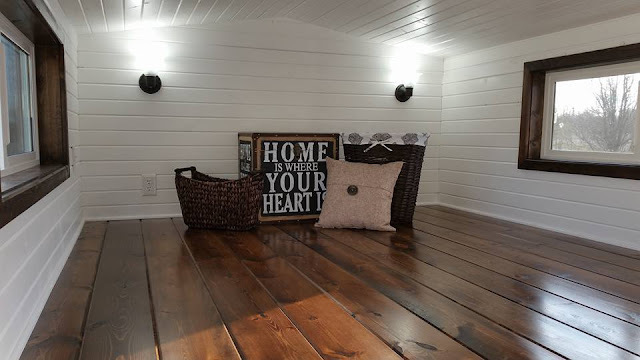 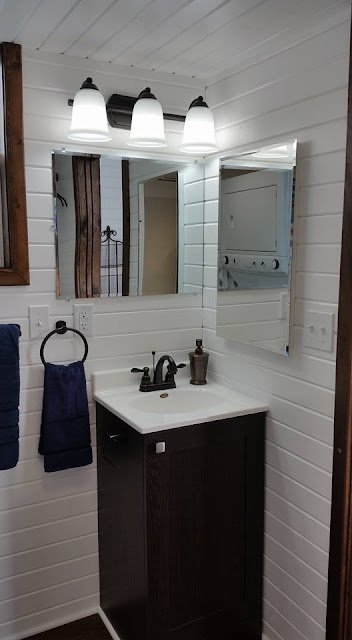 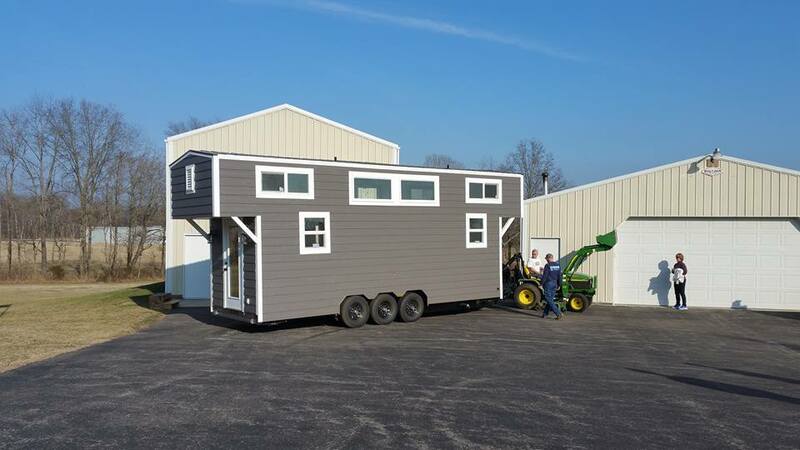 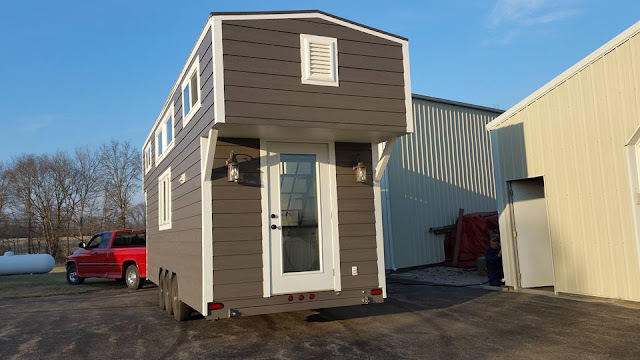 A gorgeous tiny house available for sale in Mount Vernon, Illinois! The home measures 344 sq ft and features a bright, modern interior with white car siding with dark stained trimmed. 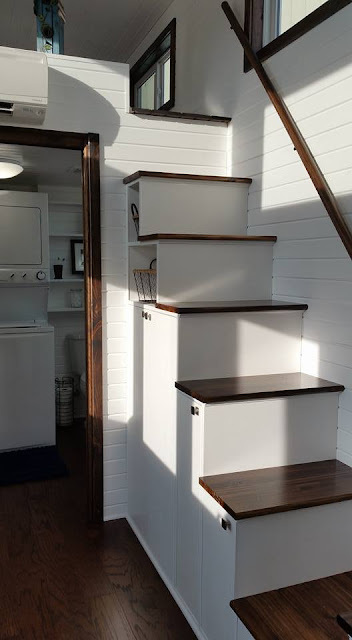 The layout includes two loft bedrooms, a full kitchen, a full bathroom, and storage stairs leading up to the lofts. 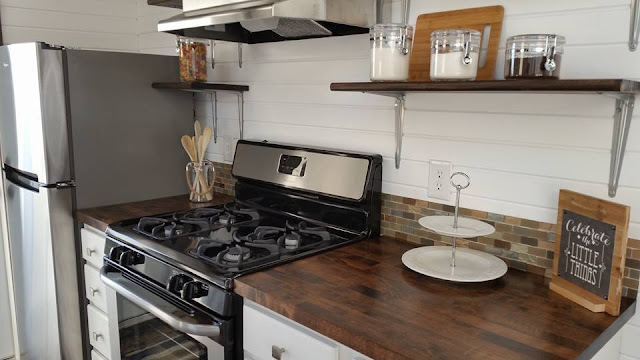 The kitchen features cabinets and shelving, a dark stained countertop, a tile backsplash, full-sized appliances, a slide out dining table, a gas stove, and a water heater. 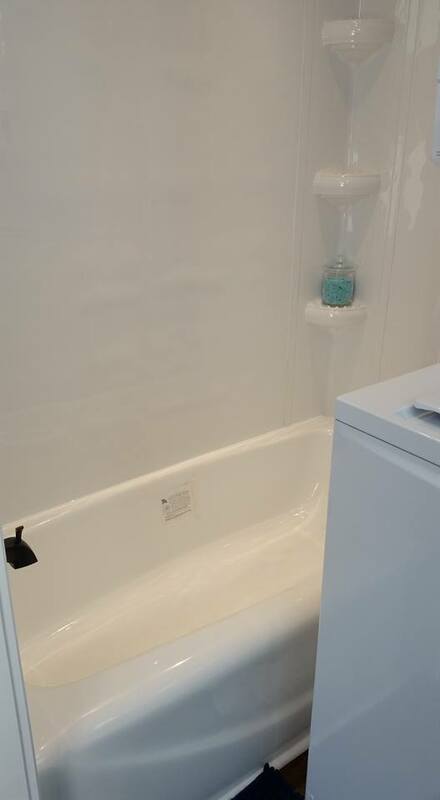 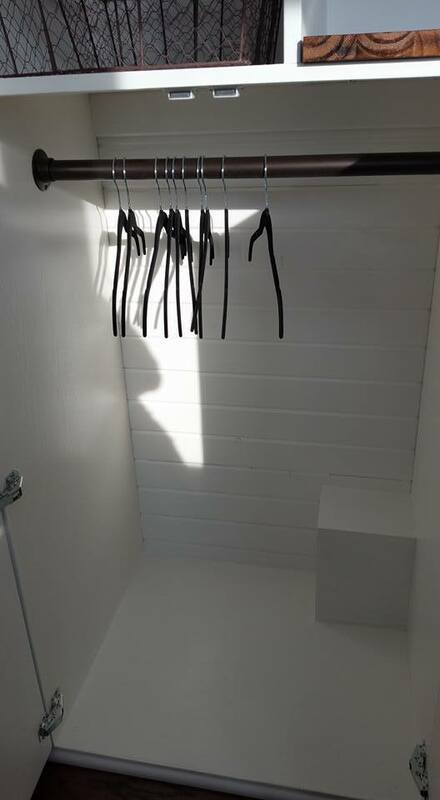 There's also LED lighting throughout the home, a ceiling fan, and a washer/dryer combo in the washroom. 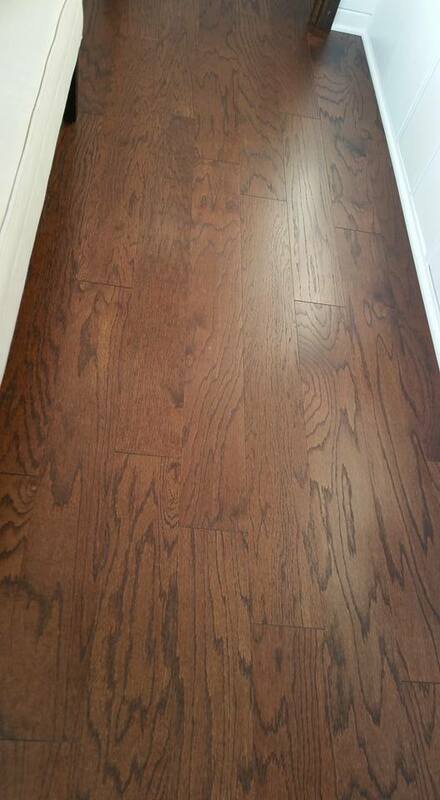 There's even a 8' x 7' deck that rolls out from the home. 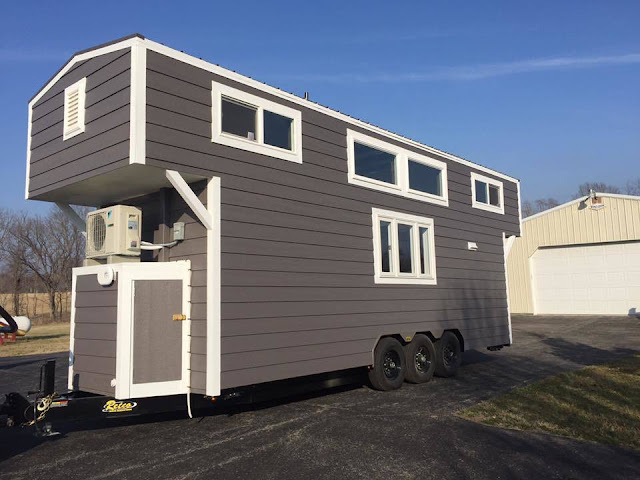 The home is currently listed for sale here for $80,000.